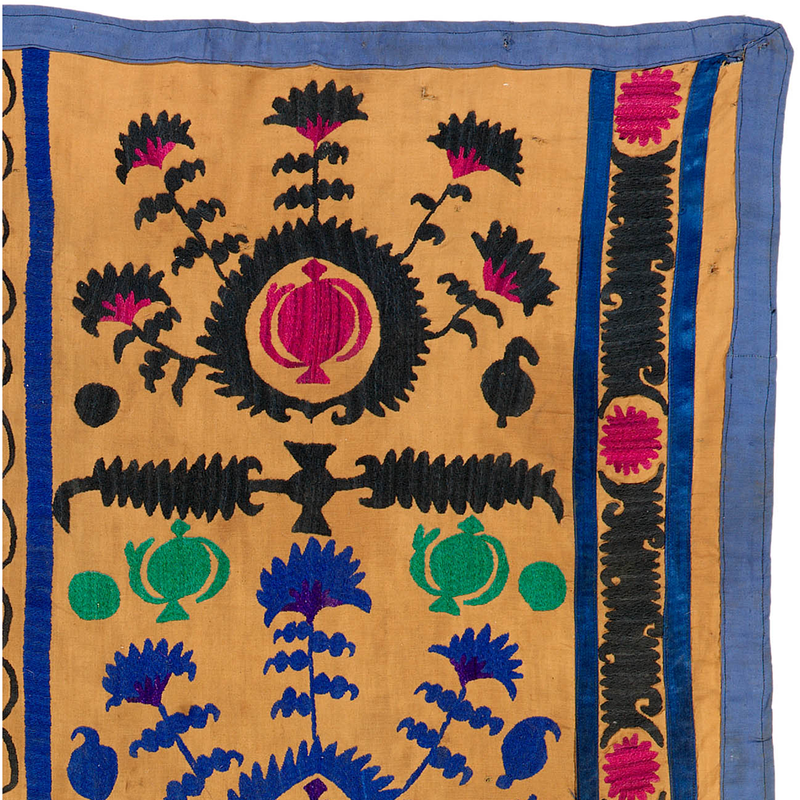 A ruijo was a young woman’s dowry textile. It would be used as a bedsheet on a newlyweds’ bed. Called a “ruijo” in the Bukhara region or “choishab” in Tashkent, it was patterned on three sides. The center panel was traditionally left plain. 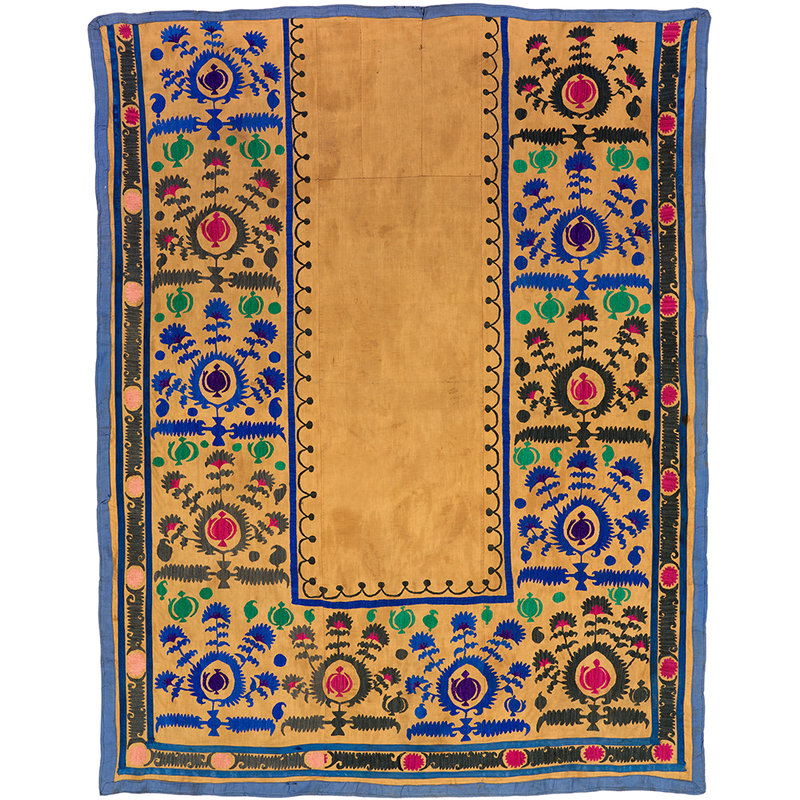 While similar in style to a prayer mat (“joinomoz”), the ruijo was larger and the niche was not pointed. The teapots are symbols of hospitality. 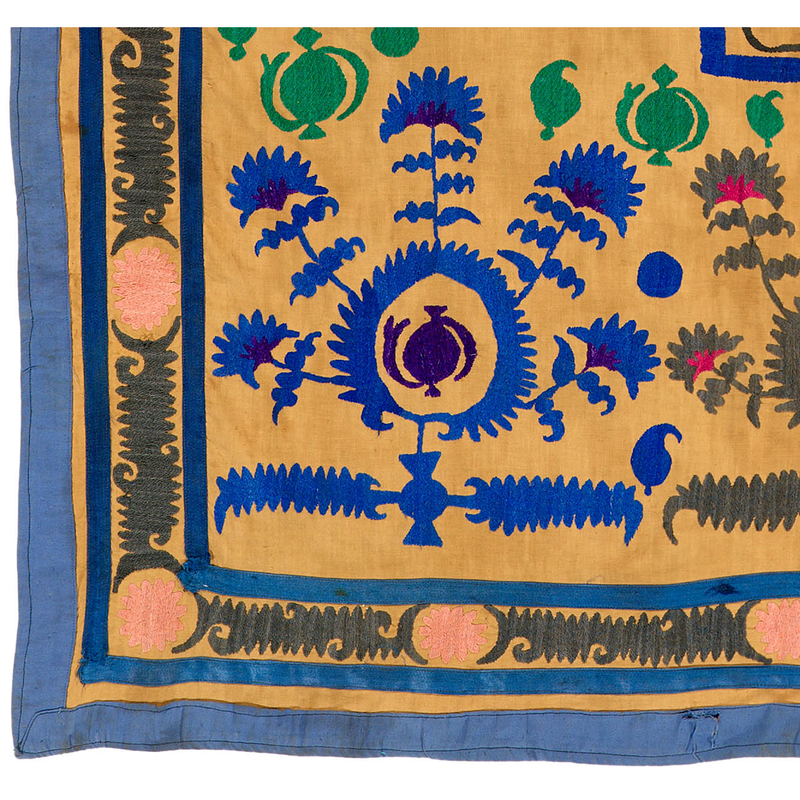 The narrow outer border pattern is typical of Samarkand embroideries from this period. If you are interested in this ruijo and would like more information please contact Susan Meller.